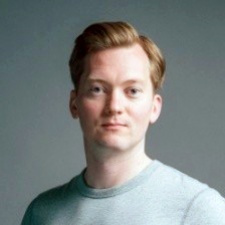 In today's Speaker Spotlight we're talking to Supercell developer relations Jaakko Harlas, who will take part in a panel entitled 'The Strategics Discussion', which will discuss investment criteria; routes to M&A, valuation methods (financial, strategic etcetera) and market trends. Jaakko Harlas: Supercell is a mobile games developer based in Helsinki, Finland, with offices in San Francisco, Tokyo, Seoul and Shanghai. We just launched our fifth game, Brawl Stars, globally so it was an exciting end of the year for us! I’m heading Supercell’s investments in external game studios. One part of my role is meeting other game developers and scouting for interesting teams who we could partner up with through investment. The second focus area for me is supporting our existing portfolio companies and helping them become successful. I have been a gamer since the 8-bit days of the late 1980s but gaming was only a hobby for me until I joined Supercell in 2013. I feel extremely lucky that I have been able to combine my lifelong passion for gaming with my professional career. Although I’m not a game developer, it is really inspiring to be able to work in an environment where I'm surrounded by some of the most talented and creative game developers on the planet. For someone with a business background such as myself, it can be more difficult to make a move into the games industry as the opportunities can be quite scarce. So it can often be a case of happening to be in the right place in the right time. If I was starting my career now and wanted to increase my chances of getting a job in the games industry, I would develop a skillset that’s relevant for games companies, start building my network through industry events such as PGC and seek out opportunities to get exposure to games companies that could act as stepping stones into the industry. For me personally 2018 was, without a doubt, the year of Fortnite. I think the success of Fortnite has been great for the whole industry as it showed that a game can become a massive popular culture phenomenon and blurred the distinction between “gamers” versus “non-gamers”. This is more of a wish than a prediction, but I’m hoping to see new, innovative mobile games that bring new life to e.g. the simulation game genre that has felt perhaps a bit stale for the past few years on mobile. I think we’ll see more and more mobile game developers exploring subscription models and other alternative ways to monetise beyond the standard IAP model. I would also expect that we’ll see increasing efforts from governments to regulate certain aspects of the industry (e.g. loot boxes, collection of user data). 1) The mobile games industry today is more competitive than ever and getting visibility for your game is extremely hard, especially for smaller developers. 2) Game streams and game videos as a form of entertainment has exploded over the last few years and has displaced TV and movies particularly for younger audiences. If you’re building a mass-market game you need to start building your community early on and think how streamers and influencers can help you in reaching the largest possible audience for your game. 3) Unity and Unreal Engine (and others) have had a tremendous influence on the democratisation of game development by lowering the barrier of entry into making games. In order to see new games that appeal to people who have traditionally been “non-gamers” we also need to have more diversity among the people who are making those games and tools such as Unity can play an important role in supporting this. I’m really looking forward to Investor Connect on Monday and getting the chance to meet new people and see some interesting new games!